I would like to be considered for a position on the Operating Committee. 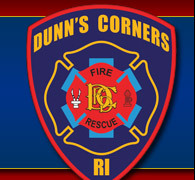 I have lived in the Dunn’s Corners Fire District for 17 years. I was the Chief of the Misquamicut Fire Department for 15 Years and retired that position in 2014. Since that time I have not been involved in any aspect of the department operations at any level. 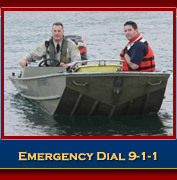 I do still help out for any and all boat rescues due to my experience as a boater and will help with other emergencies from time to time. During my time as Chief and while working as a full time Paramedic/Firefighter in Connecticut I took extensive training classes which I feel give me knowledge of department operations. I prepared a yearly budget, kept records, and worked with various state agencies to meet state and local requirements. I was a certified ADSFM and hold my Firefighter II certificate as well as many others. Also during that time I worked with Fire Fighters from both Connecticut and Rhode Island giving me insight into the various issues that arise in the fire service and how they were rectified. In 1997 I started a small internet company which today has 14 full time employees, operates on 2 properties, and a budget of over one million dollars. As the president I work with departments all over the US on their budget, purchasing, and finances to make sure procedures are followed to get the job completed per spec and to get us paid. I am also very familiar with labor laws, tax requirements, and all other aspects of running a company. During my time as Fire Chief I held a position on the Fire District Board. In addition I am a prior Board of Director at the Westerly Yacht Club, Board of Director at the Westerly Ambulance, a member of the Westerly Harbor Commission, and sat on other Boards within the Town which gave me plenty of opportunity to learn about parliamentary procedure and Robert Rules which would all be of benefit to the position on the Operating Committee. Just over a year ago I finished up a multi-million dollar building project which I oversaw and ran as the “clerk of the works” as they say. We came in under budget and on schedule. Personally I am a hard worker and like to finish what I start. In my free time I am a very avid boater and like to spend my winters skiing. I have an older daughter who lives out of state and a son in the Westerly Middle School. I would be honored to be considered for a position on the Operating Committee and hope that you will consider me when filling the position.